This Winter, escape to a hidden village by the North Pole filled with captivating light displays, magical characters, market huts, food gardens, amusement rides, live entertainment, and plenty of other joyful activities. Winter Festival is the one that I am always waiting for. This is the time where the traditional winter pursuits take place. It is really interesting http://photoeditingindia.com/ . 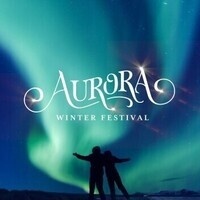 Aurora Winter Festival offers all those interesting at a place that I am looking forward to. Thanks for sharing this event details that covers Aurora Winter Festival which can be one of the best festival to enjoy Christmas holidays celebration, so those who are planning to holiday in Toronto during Christmas holiday can plan accordingly. https://whataburger-surveyy.xyz/ will be simple as the only thing you are required to do is giving answers genuinely.